Implants can restore areas where you are missing one or more teeth; they can even stabilize a lower denture. 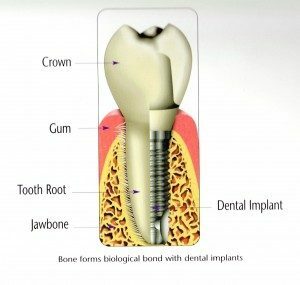 An implant is a titanium alloy post that acts as an artificial root; a crown is then placed on the implant. At Ledger Dentistry, implants are surprisingly affordable. They are about the same costs as a 3 unit bridge but without the hassle! Implants will never get cavities and you can floss your teeth like normal with them in. Six Month Braces is an alternative to comprehensive orthodontic treatment that can take 2-3 years. The goal of Six Month Braces is to straighten your teeth in about six months using tooth-colored braces. Straightening your teeth in as little as six months is completely safe and does not harm your teeth. This is also known as short term orthodontics. Short term orthodontics is quicker and less expensive than traditional orthodontics and much less expensive and less damaging than veneers. This is best suited for adults. 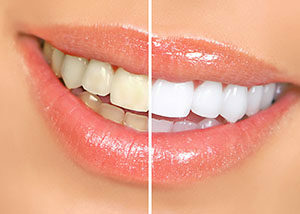 As an added bonus to you, we will also make you bleaching trays for free! This way you will have straight white teeth in as little as six months. If you are anxious about your appointment we can offer you nitrous oxide (laughing gas) to help ease your mind. We will do all that we can to make you comfortable during your appointment. We will stop if you need a break or give you more anesthetic if you need it. Nitrous gas just takes the edge off of you mentally by putting you in an euphoric state of mind. 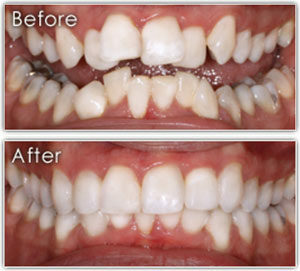 If you would like a whiter more youthful smile we can make you custom fit trays to bleach your teeth. You will be able to whiten your teeth at your convenience. You will bleach as often as you like until you reach your desired shade. Some teeth will get whiter than others, and crowns or white fillings will not get any lighter, but we can replace those if they show in your smile once you get your teeth to shine! White fillings are much more aesthetically pleasing than the silver fillings. As an added benefit these white fillings will help hold your teeth together since they actually bond to your teeth unlike silver fillings. Silver fillings are still used but only in certain situations when the area can not be kept dry. 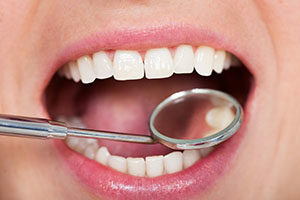 You may need a crown or “cap” if you have fractured a tooth or lost enough of the tooth from decay. 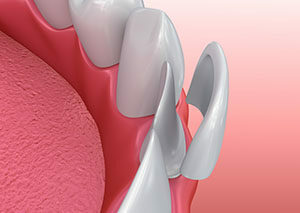 A crown will hold the rest of the tooth together and help prevent future fractures that may lead to tooth loss or more involved treatment in the future. Sometimes a tooth fractures in such a way and there is nothing we can do but remove the tooth. At the first sign of a fracture line on a tooth it is very important to call to make an appointment to prevent tooth loss or pain. Veneers are an excellent way to improve your smile to make you look more youthful. Veneers are a thin (.5 mm) piece of porcelain that will help correct the alignment, shape and color of your teeth. If you have trouble with sleeping or feel unrested throughout the day, you may need to have a sleep study to find out if you have obstructive sleep apnea. When you sleep the soft tissues in your throat may collapse preventing oxygen from getting to your lungs. This causes you to wake disrupting your sleep pattern even tough you may not fully wake. This can cause you to feel tired, have trouble concentrating, or be irritable. If you do have sleep apnea your physician may prescribe a cpap or bipap machine. These machines require you to wear a mask while you sleep, but only about 35% of patients prescribed these machines can use them. An alternative is to wear an oral appliance that positions your lower jaw forward opening your airway enabling you to get a better nights rest. When you have a toothache you may need root canal therapy. 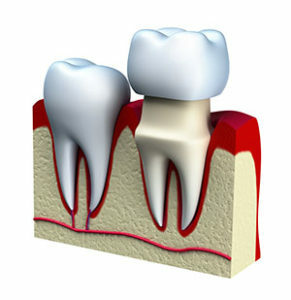 Pain occurs when the nerve inside your tooth gets inflamed. This inflammation happens when a cavity left untreated gets bigger, a tooth gets fractured, or an untreated periodontal infection extends toward the root tip. Root canal therapy should not be painful like the stories you hear. Anesthetics have improved so much that it is a rarity that you feel anything. 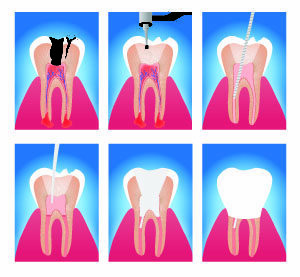 During the therapy the inflamed nerve is removed and the tooth is cleaned out and filled with a rubber based material and then the tooth is sealed with a crown or a filling. 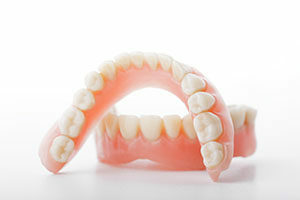 Dentures can replace missing teeth. When made correctly your upper denture will have a suction cup effect and should stay in place without any adhesives. Lower dentures do not get the suction cup effect and will be loose. Your tongue will want to move it around but after time you will learn to train your tongue to not lift it. You may also need occasional adjustments to relieve a sore spot. This is a quick appointment where we adjust the acrylic and allows the sore spot to heal.